PHILADELPHIA - Throughout Jahlil Okafor’s promising rookie season, few opponents succeeded in slowing down the potent big man. A right knee injury has. On Friday afternoon, 76ers President of Basketball Operations and General Manager Sam Hinkie disclosed the findings of the CT scan conducted Tuesday on Okafor’s right knee, which recently began bothering him again. 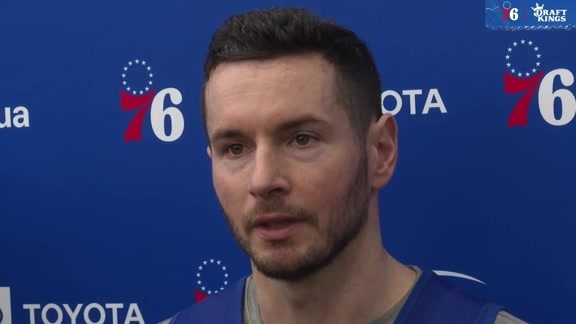 The Sixers’ final contest of the regular season is scheduled for Wednesday, April 13th, which falls inside Okafor’s prescribed timetable for recovery. 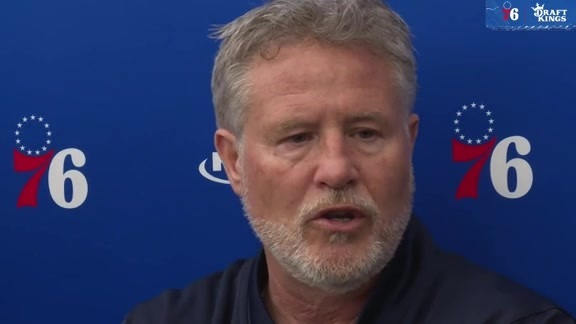 Although Brett Brown indicated Okafor will be out for the rest of the year, he sounded, all things considered, somewhat encouraged by the results of Okafor’s X-rays. Okafor’s initial concern subsided upon receiving his official diagnosis. Okafor is now sporting a custom-fitted “unloading” brace designed to relieve pressure on his right knee. All said and done, he will end up missing the Sixers’ final 23 outings of the season. Still, he feels positive about the campaign he put together. Projected to be a consistent low-post scoring threat following a freshman season at Duke in which he topped the ACC in total points, Okafor immediately backed up his reputation with an emphatic arrival to the pro ranks on opening night. Against Boston at TD Garden, he connected on the first five shots of his career, posted 10 points in the first quarter, and finished the evening with a team-high 26 points, the third-most ever for a Sixer in his debut. As the season rolled along, Okafor continued to turn in impressive performances. There was the 21-point, 12-rebound effort versus his idol Tim Duncan and the San Antonio Spurs on November 14th. Okafor then cranked out 25 points and 12 boards in a match-up with fellow rookie and number one overall pick Karl-Anthony Towns in Minneapolis 11 days later. In the Sixers’ most recent victory, a 103-98 triumph over Brooklyn on February 6th, Okafor snagged 17 rebounds, to go along with 22 points. Just two weeks ago in Dallas, Okafor erupted for a career-best 31 points, becoming at the time just the fourth first-year player this season to reach the 30-point mark in a game. Okafor’s 928 points stands as the third-highest total in Sixers history through the first 53 games of a player’s career. Allen Iverson tops the list (1,133 points), with Jerry Stackhouse behind him (991 points).